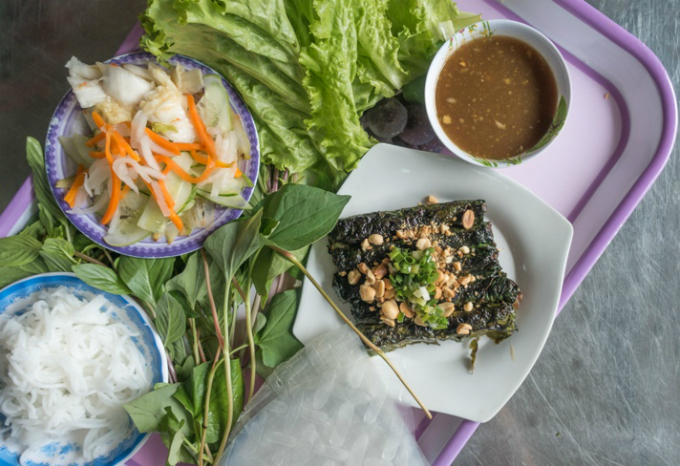 Is it possible to spend a weekend in Vietnam’s largest city for 20 dollars? Yes. Yes, it absolutely is. Words & photos by Simon Stanley. Despite a surge in tourism, a recent survey by Forbes suggests that Vietnam is still one of the world’s most affordable countries to visit. One budget travel site even hinted that cash-strapped backpackers could survive on approximately 18 dollars per day. Always up for a challenge, we decided to go one better. 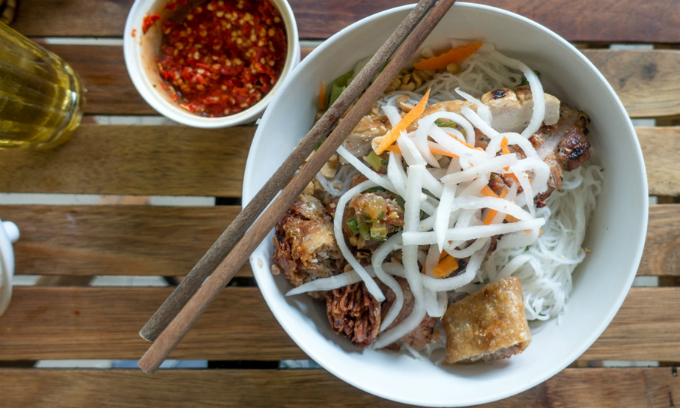 Here’s our guide on how to spend two days and two nights in Saigon for no more than 10 dollars per day, including three meals and a bed for the night. 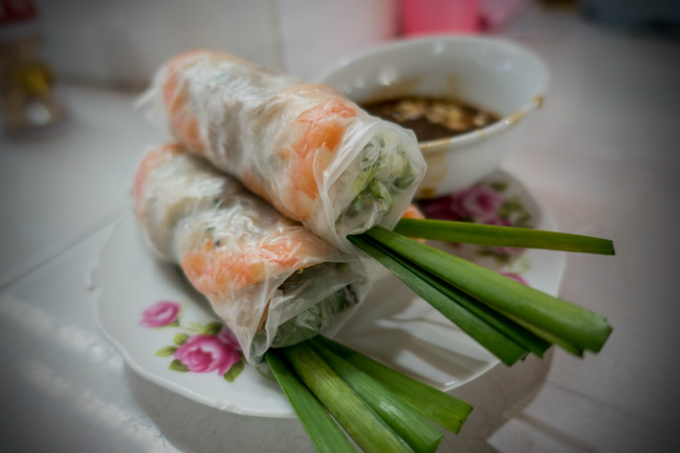 From Hong Hoa, make your way to Ben Thanh Market. 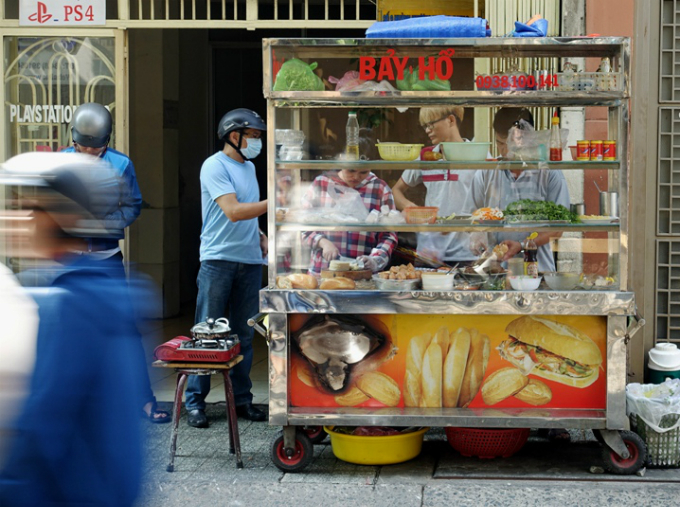 We’ll be coming back here for lunch, but, like any Vietnamese market, this one is best experienced in the early morning. As a popular tourist attraction, it’s not the cheapest place in town for souvenirs, but it’s essential for every visitor to Saigon to get lost in here for a while. Next, head along Le Loi Boulevard towards the iconic opera house at the junction with Dong Khoi. Take a left and head up towards the Notre Dame Cathedral and Saigon’s famous post office. From the cathedral, bear left again and stroll down Le Duan to the gates of the Reunification Palace for the obligatory photo. Another left turn will take you down Nam Ky Khoi Nghia, past the colonial-era court building, the Gia Long Palace (now the Ho Chi Minh City Museum), and towards the ultra-modern, air-conditioned haven of the Saigon Centre shopping mall at the junction with Le Loi. Cost: Free! Running between Le Lai and Pham Ngu Lao, opposite Ben Thanh Market, this inner-city park is a great place to meet the locals, join in a game of da cau (“foot badminton”) and practice your Vietnamese. It’s also a popular spot for Vietnamese students looking to practice their English with a native speaker. Expect to leave with at least one person’s email address and/or an invite for coffee. Cost: Free! We’re heading away from the city center today, so get up early and dress for another session on foot. 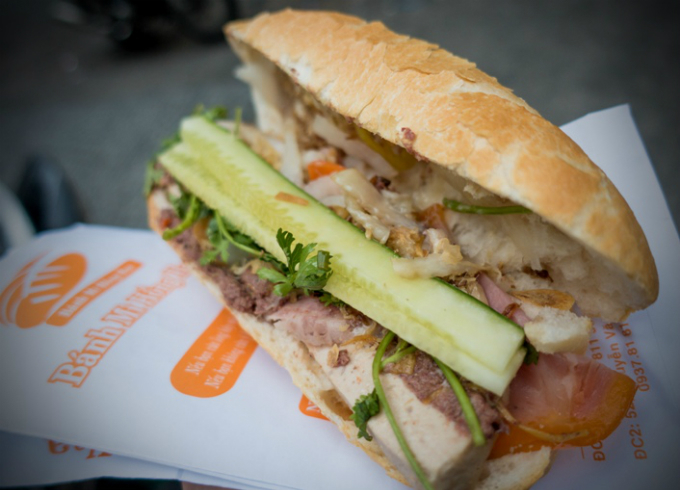 From the banh mi cart, continue along Huynh Khuong Ninh Street and turn right just before the bridge for our next stop. Built in 1909 in honor of the Jade Emperor, this picturesque pagoda counts U.S. President Barack Obama among its former visitors. 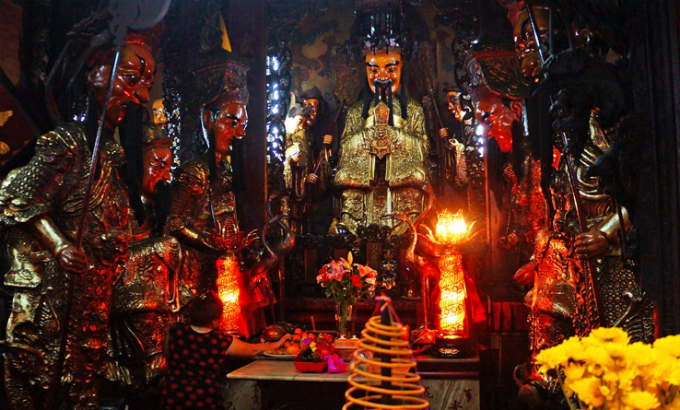 Through spirals of sweet incense, explore the courtyards, ponds and shrines of this historic site, and marvel at the many gods, goddesses and mythical creatures depicted throughout. Cost: Free! With a miniature funfair, outdoor gym, a kiddy splash pool, shaded cafe, several old-school bandstands and an 850-meter walking circuit, Le Van Tam Park is worth a visit at any time of the day. Once a French colonial cemetery (until 1983), the park is now host to ballroom dance classes, aerobic sessions, tai chi groups, roller skaters, runners, cub scouts and a surprising amount of wildlife for such a small space. Cost: Free! Despite laying just one street away from District 1, it’s surprising how many tourists skip this dynamic area and its many cute cafés, leafy side streets and colonial-era historic sites. From your lunch stop, continue along Mac Dinh Chi, turn right at Tran Cao Van, cross Hai Ba Trung and wander down to Turtle Lake roundabout, the site of a former French-built water tower. Continue down to Vo Van Tan, make a right at Pasteur Street and spend the rest of the afternoon making your way up to our dinner spot at number 260c. Cost: Free! You may be a long way from your downtown hostel, but this family-owned eatery is a culinary institution, dating back over half a century and now famous all over the globe. 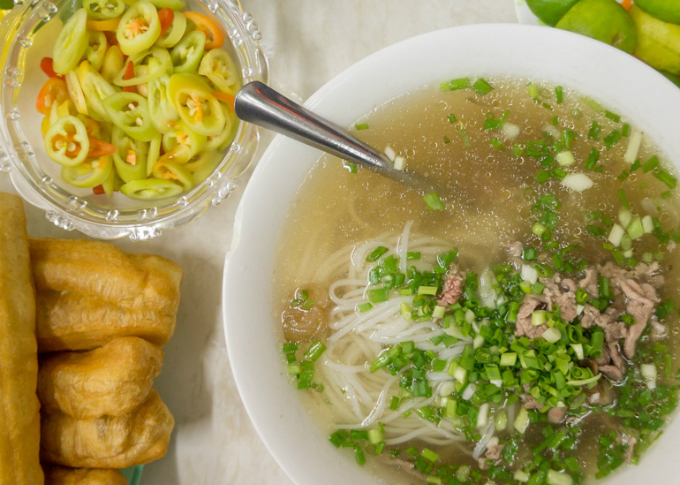 The pho tai (beef fillet) is the best place to start, made with thinly sliced raw beef that cooks to pinky perfection in the flavorsome broth. Leafy greens are piled high on each table to tear and add along with a good dose of fresh lime juice, crushed garlic and a touch of chili. Cost: VND65,000 ($2.86) for a regular-sized portion. There it is. Two days, 20 dollars, and more uniquely-Saigon experiences than you can shake a stick at.